An event that was already forecasted by me on March 16, 2015 21:23 pm IST. I had already written a post that their could be trouble in airplane , shipping or submarine travel. Although the event manifested a few days earlier than my prediction yet let us discuss the factors that manifested it. I feel sorry for the loss of all souls and families in Europe and my prayers are with those who departed from the earth plane. May they all rest in Peace! Here is my explanation of the event and a proof of my theories as well. In this explanation I have applied theories and methods that I concluded after my own research and observations and hence you have to rake your head a bit and focus on the article a lot more than usual. You will not find these concepts in any other books. These theories are not available in any text books of Astrology and are a result of my own research. As I have always said that An AIRPLANE is always MAINLY represented by 2 planets COMBINED and that is the planet Jupiter & Saturn. None of these can in isolation represent an AIRPLANE. THESE PLANETS REPRESENT 80% of any flight’s characteristics. Basically the last 4 houses represent air travel in one form or the other. A) Mars and Saturn Combined(not in isolation) represent the mechanical equipment. c) Mercury represents the communication systems and command systems. There are many other factors as well but these are the major one’s. You can read about these rules in my upcoming topics or you can get an idea from my video on these rules on YouTUBE. It is very important to calculate the results suing the above 2 rules. Also to calculate the results of a flight here’s a few rules you must know! 1. The Dashas of a flight are seen as dashas w.r.t to the Nakshtra location of the 8 factors above; the 4 planets & the 4 house lords. 2. The Dashas of Electric & Mechanical equipment lords i.e the planet Mars & Saturn. Once again, You can know about these rules in my ‘Golden rules of astrology’ video on youtube or my upcoming articles soon. 1) JUPITER: As you can see it is retrograde and hence represents a difficulty in attaining expansion and its goal of flying. The flight could not maintain altitude, growth and direction for long. The 3rd house effect: We can conclude that the flight TRIED REPEATEDLY TO COMMUNICATE WITH EVERYONE (house effect) but failed(planet effect). The Sign effect: the signs 4,8 & 12 as I always say in all my videos represent a) Privacy/isolation/hiding/secrecy and b) transformation in different manners. In the 4rth sign it is a gentle and caring transformation in hiding. Nakshtra effect: The Plane tried alternative means of communication and then tried changing course or actions to save the flight for its own benefit but couldn’t. Ashlesha effect: The Nakshtras of Ashwini, Bharani, Ashlesha, 3rd pada of p.ph and 1st pada of U.Ph, Vishakha, Jayeshtha & Revati represent GATEWAYS, PASSAGES to other Dimensions, loss of connection to the wordly affairs and loosing what is and going to or gaining something new. A planet in these GATEWAY NAKSHTRAS or padas usually looses the duty of this world and cannot perform well. Anyways more on that later but Ashlesha represents the flight tried to pass into something unusual from its normal course to attain some objective for personal interest. Planet: Retrograde so cannot perform its duty as required. Cannot follow the rules and the laws as required. Sign effect: the 8th sign: representing again a) Privacy or hiding b) transformation in a chaotic, intense and Sudden unexpected manner. NAKSHTRA EFFECT: Again in th Anuradha nakshatra, significance would be explained below. 3) The SUN: representing life and vitality as well the goals and desires of the flight. House: 11th house of universal unification and connectivity towards a common consciousness and goal. Sign: the 12th sign. Again the 3rd planet is entrapped in the 4,8 12 triangle. HOUSE: 12th and I explained to your about the 4,8 12. Planet: venus is in the 12th house. Sign: aries: Fire and quick fight or flight response. Nakshtra: Again Bharani a GATEWAY NAKSHTRA and represents death & transformation and the result of our deeds. So you can see all 4 PLANET SIGNIFICATORS are in 4,8 & 12 and all are damaged in one form or the other either being retrograde or conjunct to such planets or being in a gateway nakshtra. THE 9TH HOUSE: LORD IS RETROGRADE AND EXPLAINED ABOVE. The 10th House: the lord is retrograde and explained above. The 11th house: lord is retrograde and explained above. The 12th house: Lord is in the 12th house again. Part of 4,8 & 12. And is at 00:27 degrees. Now another theory I gave many a time ago was that a planet below 1 degree 6 minutes and above 28 degree 54 minutes looses it’s worldly significances and hence is not a well performer in the worldly plane but is more connected to other dimensions etc. another thing is the first 1 degree 6 minutes is a violent big bang BEAM that tries to come into existence from ‘that another plane’ with a unidirectional beam and explosion like a gamma ray. These planets at such degree amplify the effects of the HOUSE they are in. and those above 28 degree 54 minutes loose the effects of the house they are in. So this EXTREME degree of MARS represents a few things. a) It is amplifying the effects of the 12th house. b) It being the 7th lord does not let the 2 places connect and hence the “House effect” & “house lordship effect” of Saturn’s placement is reduced. c) It being the 12th lord does not let the flight leave the worldy location it was meant to leave. 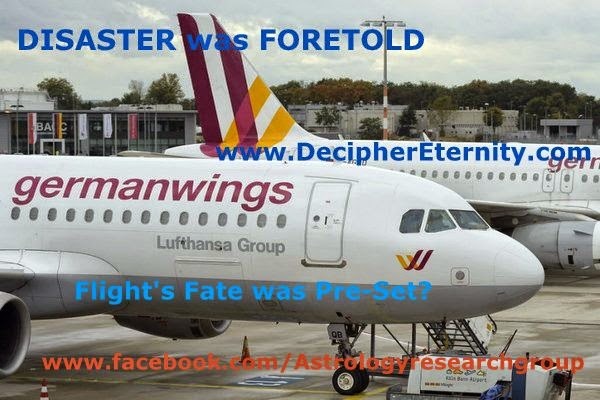 Okay so now we have clearly seen that all 8 significators , the 4 planets and the 4 houses were against the flight’s successful journey. As I said the dasha of a flight should be seen as the dasha of the 8 significators (mainly Jupiter, Saturn & the ascendant) and the Dasha of the equipment planets like Saturn & Mars. 1) Let us see what mahadasha are the 8 significators going through. a) now I cannot tell the length of dashas here because it is not the moon that is transiting the nakshtra but I can tell which dasha is gong on. b) Also the anterdashas cannot be deciphered yet. · Jupiter: Mercury>> it is doing almost fine. In the 10th house and also with Neptune. I deduce again that the flight was trying it’s best to communicate some kind of distress. 10th house( lord is retrograde) > 2nd & 5th house > Mercury+Neptune (causes delays and confusions in connectivity as well as miscommunications) > 11th sign > Jupiter’s Nak. · Saturn: Mahadasha of SATURN. And hence: Already explained above the condition of Saturn. 7th house connecting 2 places (lord is weakened to an extreme by Mars’ degrees) > 12th house > Retrograde Saturn > 8th Sign > Anuradha (Mass movement to a common concept). 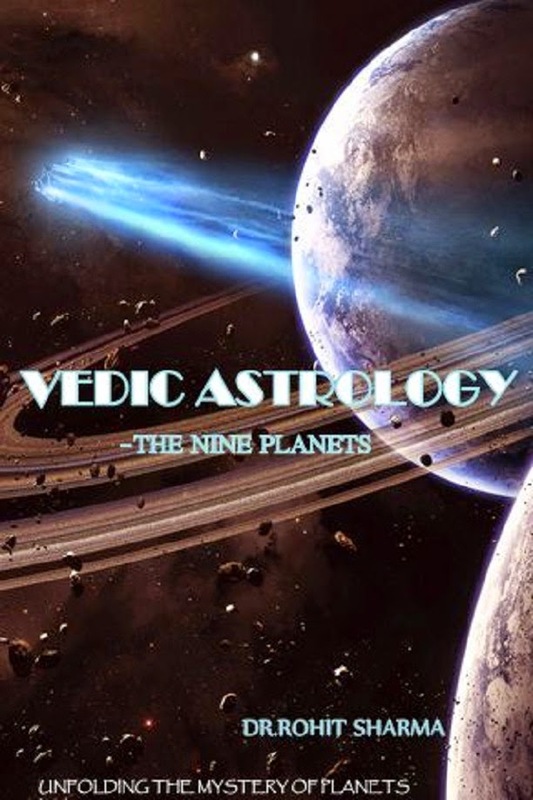 · Ascendant i.e VENUS: MD of VENUS and hence the effects of dasha of venus would be what?? Venus gives maximum effects of the 12th house. 12th house > 1st & 6th house > venus > 1st sign > BHARANI (gateway + death & transformation). Saturn is explained to you above. Okay So ALMOST EVERYTHING WENT WRONG. Anyhow in my next post I will reveal the reason for the disaster on the mechanical plane.